There's a New App That Can Turn Your iPhone Into a Retro Digital CameraJust when you think a piece of technology is done and dusted, and firmly left in the past, someone inevitably makes an iPhone app to keep it alive. This is now true for the much loved disposable camera. Screw Bar has developed a new iOS app that aims to bring back the nostalgic Kodak disposable camera experience from years past. Gudak Transforms Your iPhone Into a Disposable Kodak Camerahype cog Add a nostalgic touch to your smartphone shooting. Korean-based startup company Screw-Bar has just developed a new app that lets you experience the joys of disposable photography right from your iPhone. 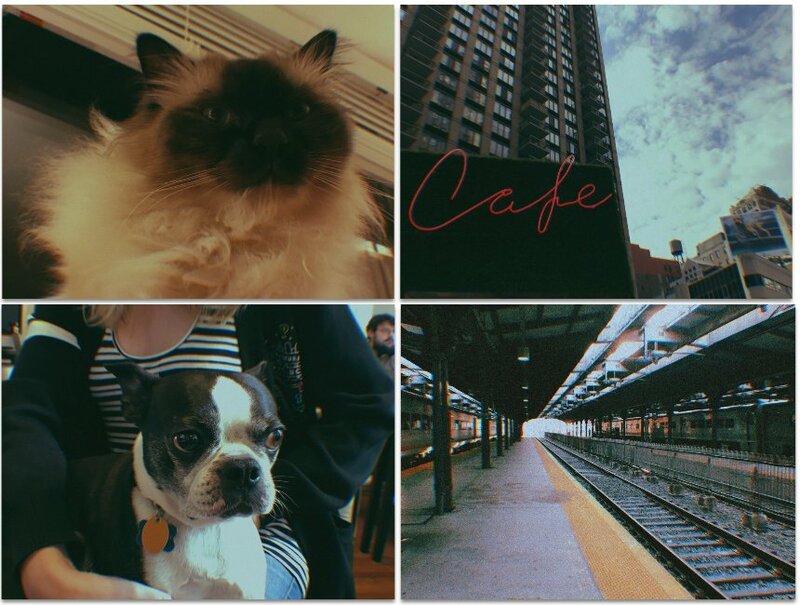 Dubbed "Gudak," the app is set up with an old-school viewfinder and a film roll of 24 shots. The Gudak App Wants To Appeal To Your Nostalgic SideYou can now have the best of both worlds with the new Gudak app that will turn your phone into an old school Kodak disposable camera. This isn't the first type of app like this to exist, but the difference with Gudak is that it is set up to systematically work like a disposable camera verses just having the filters that resemble one. Gudak Lets You Use Your iPhone Like a Kodak Disposable CameraGudak is a new charming little app developed by Korean startup Screw Bar that brings the feeling of using a Kodak disposable camera to your smartphone. Open up the app and you have a "film roll" of 24 shots. Gudak is a charming analog camera app that makes you wait three days for a photoI've gone through my fair share of analog camera apps, downloading and deleting them one by one as the novelty wore off quickly. My problem with most of these apps, Instagram included, was the overwhelming burden of choice. There are too many filters, and the abundance of ways to tweak every detail was an option I didn't personally need. Would you recommend Gudak Cam to a friend? Purely and utterly pointless; flies in the face of reason; distorts the essential purpose of technology--it's absolutely brilliant. Big upvote. Emad Ibrahim@emad_ibrahim · Coder and productivity nut. @rueter that's exactly how i felt too. maybe i should build an app that sends email after 3 days. or a trans-national uber-like service that takes 3 weeks to get you from new york to california. @rueter best comment too 😀. Great idea guys I feel this kind of thing is going to fly, what with all the noise out there. This is were things are trending! Upvote. @rueter I agree with the "distorts the essential purpose of technology." I believe technology should be a mean and not an end, and it can be used to solve actual issues. This right here is a fun side project, but I don't see more. People are using analog cameras more and more these days, and there's a reason for it, besides hype. @marsh931 I’m actually a kid & passionate about analog photography but this app is totally pointless. So I've been using this app obsessively, as in: I don't really use the iPhone's camera app any more. At the core of it, the idea may seem silly: Take a bunch of photos (24 to be exact), have them pretend to be developed, then see them three days later masked by a bunch of fake light-leaks and film-grain. But in actuality, I find that having a limited amount of photos I can take in a "roll" makes me more selective about the moments I intend to capture, and waiting multiple days to see them means I don't spend time in my Photos app checking to make sure the framing is just right or any of the myriad nitpicks I would normally use as an excuse to go back and take the photos again. I just snap and move on. I understand that Gudak isn't for everyone, but it definitely is for ME, and that's cool.